A true STORY Wow... This ONE Cuts DEEP ..
Home Anglicanism Cathlamet Catholic Church Chamber of commerce Charity shop Clothes dryer Clothing Community development Cornish language Cornwall Featured Post Washington A true STORY Wow... This ONE Cuts DEEP ..
A true STORY Wow... This ONE Cuts DEEP... One YOUNG man went to APPLY for a MANAGERIAL POSITION in a BIG COMPANY . He PASSED the INITIAL INTERVIEW , and now would meet the DIRECTOR for the final interview. for my school fees.” he replied. The director said, “I have a request. When you GO HOME today, go and CLEAN your MOTHER’S HANDS , and then see me tomorrow morning. When he went back home, he asked his mother to let him clean her hands. His mother felt strange, happy but with mixed feelings, she showed her hands to her son. The youth CLEANED his MOTHER’S HANDS slowly. His TEAR fell as he did that. It was the first time he noticed that his mother’s hands were so WRINKLED , and there were so many BRUISES in her hands. 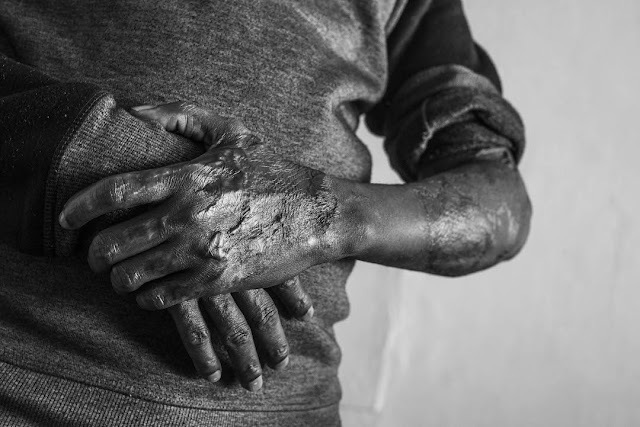 The BRUISES in the mother’s hands were the PRICE that the mother had to PAY for his EDUCATION , his school activities and his future. After cleaning his mother hands, the YOUTH quietly WASHED ALL the remaining CLOTHES for his mother. That night, mother and son talked for a very long time. remaining clothes’ “I KNOW now what APPRECIATION IS . Without my mother, I would not be who I am today. By helping my mother, only now do I realize how difficult and tough it is to get something done on your own. The director said, “This is WHAT I am LOOKING FOR in a manager. I want to recruit a PERSON who can APPRECIATE the HELP of others, A person who KNOWS the SUFFERINGS of OTHERS to get things done, and A person who would not put MONEY as his ONLY GOAL in LIFE . “YOU are HIRED .” This young person worked very hard, and RECEIVED the RESPECT of his subordinates. Every employee worked diligently and worked as a team. The company’s PERFORMANCE IMPROVED tremendously. A child, who has been protected and habitually given whatever he wanted, would DEVELOP an “ENTITLEMENT MENTALITY ” and would always put HIMSELF FIRST. He would be IGNORANT of his PARENT’S EFFORTS . When he starts work, he ASSUMES that every person MUST listen to HIM , and when he BECOMES a manager, he would NEVER KNOW the SUFFERINGS of his EMPLOYEES and would always BLAME OTHERS . But when you are cutting grass, please let them experience it. After a meal, let them wash their plates and bowls together with their brothers and sisters. It is not because you do not have money to hire a maid, but it is BECAUSE you want to LOVE them in a RIGHT WAY . You want them to UNDERSTAND , no matter how rich their parents are, ONE DAY their HAIR will grow GRAY, same as the mother of that young person. and experience the DIFFICULTY and LEARNS the ABILITY to work with others to get things done. Try to forward this story to other parent.